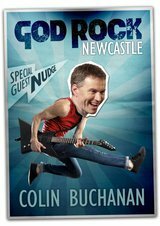 Celebrating the release of his new album GOD ROCK, Colin Buchanan will travel throughout Australia from August to October 2011 performing his typically humoured style of concert suitable for both children and adults. An award winning Christian artist the Sydney Morning Herald has affirmed Colin as "...simply the best singer/songwriter to emerge in the Australian CM scene in the last decade." Colin is widely renowned as a number one children's performing Christian artist, singer/songwriter and author. His award winning career has seen him presented with numerous Golden Guitar awards, 3 ARIA Music award nominations and an APRA Award for his hit song 'Hat Town' (written with the popular county music artist Lee Kernaghan). His other career highlights include over 15 years of national radio hosting including "regular appearances on the top rating 702 ABC Sydney satirical weekly wrap-up, 'Thank God It's Friday' with Richard Glover" and various roles as a national television presenter in popular children's shows like Play School (ABC) and Playhouse Disney. His unique musical career has seen him reach beyond the Christian community with widespread songs like 'Beaconsfield' (attributed to the release of Brant Russell and Todd Webb who were trapped in the Tasmanian mining disaster in 2006) and 'Goodbye Crocodile Hunter' which exemplified the life of Steve Irwin. About this song Colin says, "It's my version of the makeshift signs that have appeared recognising how unique and special the man was. Like Beaconsfield, that first simple recording is there for anyone to download and share." 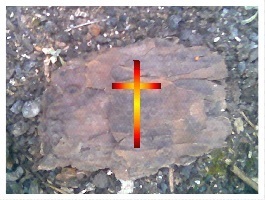 Colin freely shares these inspirational songs on his website. Colin Buchanan's concerts are for the whole family. His entertaining manner draws adults and children alike into an atmosphere of singing, dancing and laughing. Interacting with the audience through hilarious performances you'll sing along to a host of old favourites and new songs from his recent hit album GOD ROCK. With 21 performances scheduled throughout Australia, the GOD ROCK concert kicks off in Newcastle on 22 August, 2011 ending with the final show in Launceston on 22 October, 2011. Colin will perform shows in Newcastle, Port Macquarie, Armidale, Brisbane, Toowoomba, Sunshine Coast, Penrith, Canberra, Melbourne, Sydney, Adelaide, Perth, Hobart and Launceston. Click here for scheduled tour dates in your Australian city. Presented by Koorong, etickets can be purchased online for $9.95 each. Colin is absolutely awesome. My whole family loves him. The fun he portrays in his songs and concert is not only great but better yet its about God instead of kids usual entertainment nowadays ie Buzz Lightyear/ The Wiggles.. etc.. He makes my kids have a good impression about the Lord that (at last) something about God is truly fun and actually really exciting instead of me/ sunday school trying hard to make prayers and bible time fun and not forced upon.. I've been to his concerts for 2 years now and have always had a good laugh myself. Was most impressed when my oldest son who was quite shy was next in line for Colin to sign the poster after the concert. Colin actually took time and made room (from the long queue!) for my son's shyness and.. motionlessness/ emotionlessness to him.. At the end my son actually warmed up to him n was willing to take a pic with Colin.. It was commendable and just shows me that he's not only there to 'make money' from the concert but he really is there for the children.